Our main project is sponsoring cancer treatment for children on pediatric oncology ward. This support is especially for the children whose parents can not afford this. To get the medication to the children we collaborate not only with the physicans but also with Yetichem pharmaceuticals in Kathmandu. Through sending medical students on internships to the government run Kanti Children’s Hospital, we are indirectly able to sponsor their Oncology Fund. Through this fund the Hospital was able to establish an oncology ward in 1997 and is currently able to send nurses and doctors abroad to train in pediatric oncology as well as sponsoring treatments for children whose parents cannot afford this.  We are constantly looking for new possibilities to help. 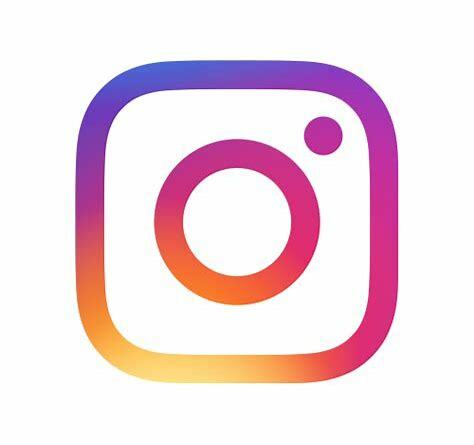 If you have ties to Nepal or ideas on how to improve the often dire situation that children with cancer face there, please contact us to brainstorm or share your ideas. Medical students have the opportunity to do a clinical internship or rotation (‘coschap’) at the Kanti Children’s Hospital through our foundation. Students can intern at different wards such as general internal medicine, surgery, PICU/NICO, cardiology, neurology and oncology. During the internships students will come into contact with many tropical diseases, and are given the unique opportunity to experience what it entails to work in the tropics. Download the internship brochure (in Dutch) for more practical information, or if you are interested or have any questions, please contact us at iris.nederlof113@gmail.com and info@medicineforall.nl. We ask each student to send us their resume and a short motivation letter if interested. The hospital was founded in 1963 as a general hospital with 50 beds. In 1973 it was rebuilt into a children’s hospital, and as of now it counts 250 beds. It is the only government children’s hospital in Nepal and treats many poor children from all over the country. By sending students to the hospital we indirectly support their Oncology Fund. Besides this we have funded treatments for poor patients directly for many years. For more information on Kanti Children’s Hospital visit their website. 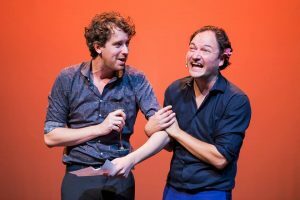 On the 28th of September 2018 the fourteenth edition of the Stichting Medicine for ALL benefit cabaret was held. All of the proceeds went directly to children suffering from cancer in Nepal. 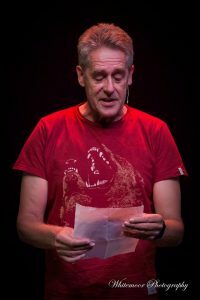 This evening was possible thanks to the wonderful comedians that perform free of charge and VU Griffioen theatre that offers us their venue. Each year the Foundation Medicine for ALL organizes a Benefit Cabaret to raise money. The event is generously hosted by the VU Griffioen culture center in Amsterdam, which opens its doors to us free of charge. 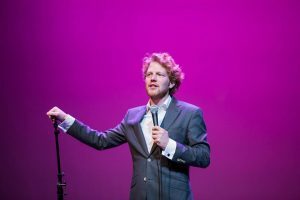 Each year a number of up and coming Dutch comedians perform gratuitously and the evening has consistently been a huge success. 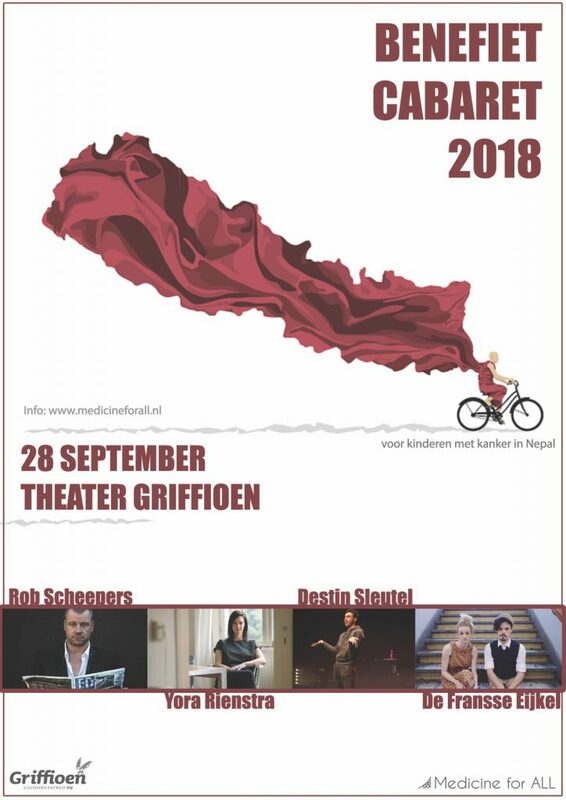 Thanks to the VU Griffioen theatre and all the comedians that have performed over the years each show is full of humor and entertainment and has allowed us to raise large amounts of money for Nepalese children. In the past a number of small local fundraisers have generously decided to donate (part) of their proceeds to our foundation. Do you want to become active in your community or are you looking for a charitable cause? We would love to hear from you! It is also possible to donate directly to our foundation at IBAN: NL07INGB 0004877248 tnv Stichting Medicine for ALL. The next and fifthteenth edition of the Stichting Medicine for ALL benefit cabaret will be held in fall 2019. We hope to see you all at the 4th of October this fall!